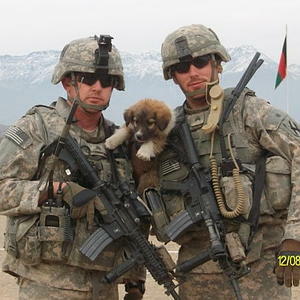 Rufus was no ordinary street puppies in Afghanistan. He and his buddies, Sasha and Target, had taking a liking to the American soldiers and were not going to let anything happen to them. When a suicide bomber was approaching a base where 50 soldiers were sleeping--they made racket. Some soldiers didn't understand what the pups were saying so they tried to quiet them down. But Rufus, Sasha, and Target did not give up. They ended up spooking the bomber who set off his bomb before he was able to enter the building and do more damage. Rufus and Target did suffer injuries, and Sasha didn't make it. But that is not the end of this amazing story. Sgt. Chris Duke was wounded in the blast, but had no doubt that he would have died if not for the lookout puppies. When Duke returned to the base after being treated, he and Rufus became buddies, and Rufus even helped him when he was feeling homesick from his pregnant wife. When he was headed home to the States in March, it broke his heart to have to leave his little four legged hero and buddy behind. With the help of the nonprofit organization Robert's Cause and some savvy social networking, arrangements were made to bring Rufus to the States to live with Sgt. Duke and his family. 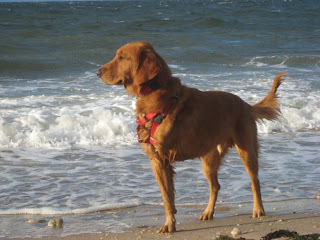 Rufus flew through Manhattan and caught a connecting flight to his new home in Georgia. Target was on the same flight, but is headed to her new home in Phoenix to live with the Army medic who she connected with during the same blast. NY Post ran this story along with another picture of Rufus all grown up. You can find just about anything on Craigslist these days. You could even reunite with a dog that you had to give up years ago--though maybe not on the "missed connections" section. That is just what happened to Sandra Castillo and her dog, Milady. Four years ago Sandra suffered from severe health problems and a six month hospitalization associated with her pregnancy and was forced to re-home her two dogs. She was able to stay in touch with one of the new owners, but lost contact with Milady's new owner. She would occasionally post messages on Craigslist looking to connect with them. She never received a response. Until a few weeks ago. Sandra made a last ditch effort and decided to make one more post on Craigslist. It turns out that the local rescue group, Massachusetts Society for the Prevention of Cruelty to Animals (MSPCA), had recently sent out an email to supporters detailing the case of a cocker spaniel named Milady who was in terrible shape and desperately needed some TLC. Milady showed up with fur matted so bad around her ears that it was completely sealed and infected, and her nails were severely overgrown. As you can see in the picture here--despite her painful mats, Milady still had a smile on her face (click here to see Milady post-shaving). According to Jean Weber, the MSPCA’s director of animal protection, “Her personality is amazing and she has taught many of us about the benefits of perseverance.” Sounds like she learned something from Saundra, who did not give up when she felt like Milady disappeared. Within just 20 minutes of her last Craigslist post, Sandra found her dog again. 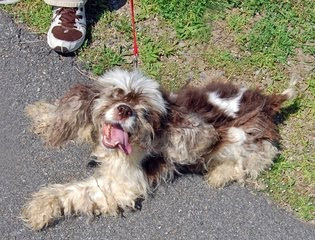 Sandra was approved to re-adopt Milady, and the two have been reunited. 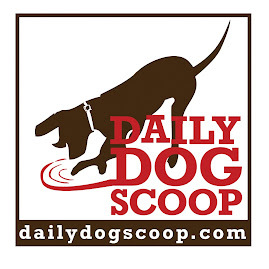 There are fringe benefits to enduring the sweltering summer heat: dog ice cream! 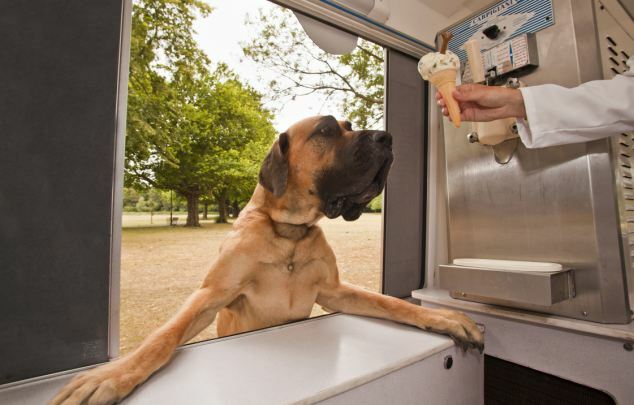 The British have come up with an innovative delivery system: an ice cream truck just for dogs! The truck will be out in London area parks all summer serving up their two signature flavors: Dog Eat Hog World--a pork and chicken sorbet served in a dog biscuit cone, and Canine Cookie Crunch-- which is full of chucks of dog biscuits and served in a biscuit cone. You will know when the K99 ice cream truck is coming--instead of the traditional ice cream truck music, it plays the theme from Scooby Doo. Shelters along the Gulf Coast have been inundated with animals from families that can no longer afford to care for them. 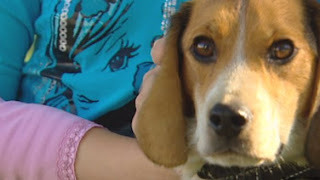 St. Bernard Parish Shelter took in 170 animals in June alone. NBC Nightly News did a story about the shelter, and now they are inundated with calls from new families! Even the 130 pound Benny now has a 10-person waiting list! Read more about the available animals, or donate to a new program that will help other animals stay in their homes, visit the St. Bernard Parish Shelter website. A comfortable 82 degree summer day can quickly turn into a 109 degree oven in a closed car. An even cooler 72 degree summer day can turn into a 116 degree oven over the course of an hour, and keeping the windows cracked only slows the heat up marginally. While it is great to take your dog along for fun summer trips, you should avoid trips would require your dog to sit in the hot car for even a few minutes. Heat stroke can begin in as few as 10 minutes at those temperatures. The folks at MyDogIsCool.com have some more resources for understanding the dangers hot cars for dogs. After just a month with his new family, three year old Laser got spooked by some fireworks and slipped out of his leash. The family was on vacation nearly 50 miles from their Canada home and spent days canvassing the area and hanging up flyers. Sadly they had to go home without there four legged family member. Laser had finally found his forever home, and he determined to make sure he didn't lose it again. The LePage family kept receiving tips from people who saw Laser on the move, and 6 weeks after the scary fireworks display, a good samaritan dropped him off at the shelter just over a mile from their home. Laser had found his way nearly the whole 50 miles on his own! This is especially amazing since he had only been with the family for a short time and probably didn't know the area so well--but he was determined to hold onto his new pack. The happy family has since been reunited and I bet Laser will be sticking close by his two young human siblings. Check out more one this amazing story, a map of his trek, across Canada and a family picture on CBC.ca. Speaking of awesome Canadians, have you visited my friends over at Fido & Wino lately? Pit bull are still the quintessential American family dog, despite the bad rap they get because of the criminals that abuse them. Thor is the latest example of the incredi-dog. Thor's family home was on fire and his people would not wake up--he tried barking and prodding them, but they were fast asleep. In the meantime, Thor knew that their family's new baby human needed to get out of the house fast. He sprung into action, and returned to the parents to bark at them again, only this time "He had my infant, my 3-month-old little girl, bassinet and all, grabbed by the ruffles and drug to the front door, ready to go," according to father Kemper Hunter. He continued, "He's a hero, he saved our lives." The family had just moved into their new home a week earlier, and lost everything in the fire. 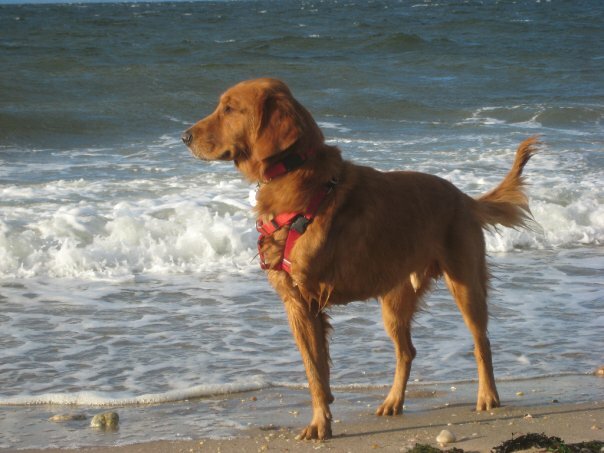 It could have been worse if it wasn't for Thor, Hunter added--"Thank God for him, because if it wasn't for him, everything else is replaceable, but if it wasn't for him I think we'd still be laying in that bed if my dog hadn't been as heroic as he was." This happy family is lucky they all survived and are still together. Can you believe they would have to give up their family hero if they wanted to move to Denver or any other jurisdiction that has senseless breed bans? 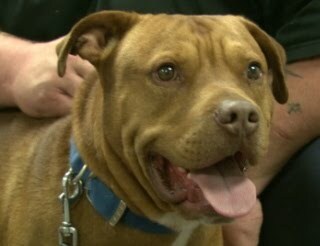 Maggie Marton over at OhMyDogBlog.com is working hard to change that with the #endBSL campaign. Visit her site to find out how you can help! Check out my previous post about the campaign here.